These kinds of sentiments are evident in his 2014 novel The Crossover, which won Alexander the prestigious Newbery — it’s awarded annually by the American Library Association to the author of the most distinguished contribution to American literature for children — as well as in his new Rebound, the novel being published Monday. Like The Crossover, the story is written in free verse with a kind of hip-hop rhythm. The main character is Chuck “Da Man” Bell, the father of twin basketball enthusiasts Josh and Jordan Bell. 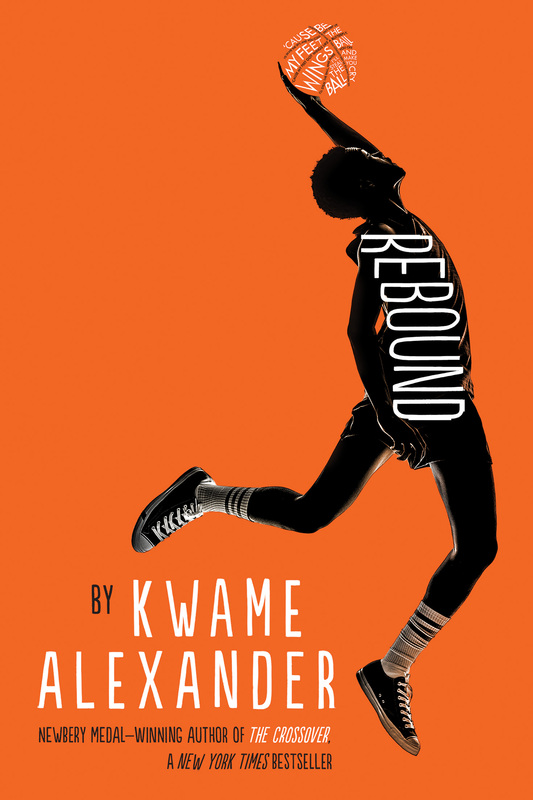 Rebound takes young readers way back in time to a pivotal summer when young Charlie is sent to stay with his grandparents, four to five hours from his home. There, he discovers basketball and learns more about his family’s past. Chuck Bell is center stage, and in beautiful verse it becomes clear how he became the jazz music-worshipping basketball star his sons look up to. “It was the summer of 1988,” Alexander writes of Chuck, “when basketball gave me wings … I had to learn how to rebound on the court. And off.” The Bell family was introduced in The Crossover. That book followed Josh and Jordan and their hoop dreams. The brothers struggle through an assortment of obstacles that include growing apart during their junior high school years. Alexander believes that poetry can change the world. He uses it to inspire and empower young people around the world. Sports, for Alexander is one way to gain their attention.